The Mac, Apple Watch, and services like Apple Music also broke records for Apple’s bottom line. One year ago, in the first quarter of 2016, Apple reported a record-breaking profit: $18.4 billion on $75.9 billion in revenue. That was great news, but setting the bar so high was a mixed blessing—Apple’s huge uptick in growth ended there, with declining iPhone sales and profits in the three quarters since. But the company turned that around with the iPhone 7 and 7 Plus, Apple CEO Tim Cook said in Apple’s Q1 earnings report on Tuesday. 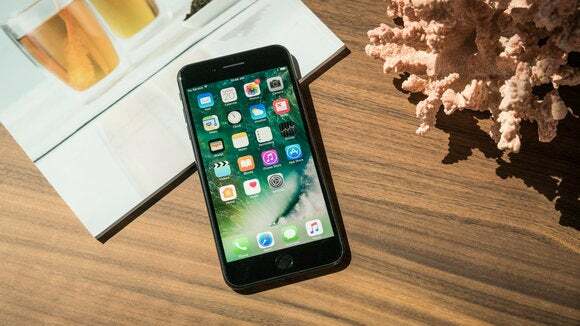 The company broke its own record with $78.4 billion in revenue for the quarter ending December 31—and $54.3 billion of that came from iPhones, of which Apple sold 78.3 million. That’s another record, in case you were wondering. Cook had expected both iPhones, particularly the 7 Plus, to lift Apple’s revenue during the holiday quarter. During the company’s Q4 earnings call in September, Cook indicated that the 7 Plus in particular was selling faster than Apple could make it. Chief Financial Officer Luca Maestri promised guidance of $76 billion-$78 billion—that’s more than the record-setting $75.9 billion of Q1 2016. Analysts had expected revenue of $77.5 billion, according to CNBC, up 2 percent from the same quarter last year. Apple handily beat those estimates. The iPhone made up 63 percent of Apple’s revenue in 2016, so the company needs that moneymaker to do well. Fortunately, it appears to be doing just fine. The company sold fewer iPads year-over-year, down to 13.1 million from 16.1 million, but Mac sales were up slightly (5.37 million vs. 5.31 million) and revenue from services like Apple Music and iCloud was up 13 percent to $7.17 billion. Apple’s “other product” category, which includes the Apple Watch and Beats, clocked in at $4.02 billion, down 8 percent year-over-year. Apple doesn’t separate the Apple Watch out when it reports earnings, but the company said that device, along with the iPhone, Mac, and services category, set all-time revenue records in Q1. “Revenue from services grew strongly over last year, led by record customer activity on the App Store, and we are very excited about the products in our pipeline,” Cook said in the report. International sales accounted for 64 percent of Apple’s revenue, but revenue from Greater China was actually down 12 percent year over year. Don’t expect Q2 to break any records, but Apple is expecting revenue of $51.5 billion to $53.5 billion for the sluggish winter months. Stay tuned for more information about Apple’s record-setting first quarter from Apple’s earnings call, where Cook will explain it all to analysts and investors.